Rutland City Fire Chief Michael Jones said he is considering quitting his job due to lack of support from the city’s new mayor. “We look at things differently, I would say,” Jones said Tuesday, April 25, of his relationship with Mayor David Allaire, elected to the post in March. It’s not clear whether Jones will leave before his two year contract with the city ends in November. Jones said he has heard first from people on street, rather than city leaders, about decisions made that impact the fire department, from truck repairs to budget matters. Allaire and the fire chief weren’t able to smooth out their differences in a recent meeting. “What gets said face to face many not be what is said behind the scenes, I’ll just take it at face value,” Jones said. It was a much different relationship with Louras, the fire chief said. For example, he said, the new administration has not backed him up when it comes to matters of discipline. With the firefighters’ union contract soon set to expire, he said he is concerned how the close relationship between the union and some other leaders, including Allaire, will have on the negotiation process. “If someone feels like they owe somebody something in this process, that’s dangerous,” Jones said. Allaire and Seth Bride, president of the firefighters’ union, could not be reached Tuesday for comment. Sharon Davis, president of the city’s Board of Aldermen, said Tuesday evening that she wasn’t concerned about a perception that Allaire has a cozy relationship with the firefighters union. Davis, who backed Allaire during the mayoral election, said she has confidence that the mayor will look out for the interests of taxpayers and firefighters as contract negotiations begin with the union. Also, she said there’s a “checks and balances” system in place because the Board of Aldermen will get to vote on whether to approve a contract. A well-publicized spat involving the firefighters union with the chief and former Mayor Chris Louras took place a few months ago over the department’s budget and proposed restructuring. The proposal called for the appointment of an assistant chief as well as a fire prevention training officer. The assistant chief, according to the plan, would “act as coach, mentor, and liaison” between management and labor. Public safety and community outreach would have been the focus of the fire prevention training officer. The firefighters’ union opposed the proposed department budget and the restructuring plan, saying it was a safety issue. The union contended that the two new administrative positions would have replaced one on-duty firefighter per shift. The fire chief and Louras countered that response capabilities would have actually improved. The Board of Aldermen also opposed the proposed budget and restructuring plan, leading to some heated meetings prior to Town Meeting Day. The fire union passed a vote of no confidence in the chief, and Louras went on to lose the mayoral election to Allaire. Louras appointed Jones, retired from the Vermont National Guard, to the fire chief position to help develop leadership within the department, he said at time, highlighting Jones’ administrative experience with the Guard. The ultimate goal, Louras said, was for someone from the department to be ready to step in as chief after Jones’ two-year contract expired. Jones, who faced criticism right off the bat because he had never worked as a firefighter, has since received that training, saying he has gone beyond the level required as part of his contract. It was “a struggle right from the get-go,” Jones said Tuesday. He said with no assistant chief or training officer in place, he had very little support. What he found walking into the fire station, he said, was a department that needed increased training and structure, with no mission, vision or strategic plan. Also, he said, he found contracts and emergency plans in critical need of updating. He said he pushed to update ordinances and called for increased funding for an equipment reserve account, he described as “woefully” inadequate when he entered the office. The first six months, Jones said, he spent listening to firefighters and the proposal to restructure the department emerged from those conversations. What he hoped to achieve, he said, was to make the department more proactive in preventing fires rather than reactive and responding to burning buildings. The fire chief said a “core group” of firefighters have taken the initiative in moving forward on fire prevention and community outreach. Another group is unwilling to embrace change, he said, and appears to see the fire station as a “club” rather than a workplace. Proposals for physical fitness standards and employee evaluations, Jones said, met stiff resistance and never materialized. Davis, the board president, said when the fire chief was hired there had been concern over his lack of firefighting experience, but the board ultimately approved his appointment hoping his administrative skills would serve as a benefit to the department. That may have been a wrong decision, she Tuesday. Alderman William Notte, board’s president during that budget debate earlier this year, also said that at that time that Jones may have been the wrong choice for the job. 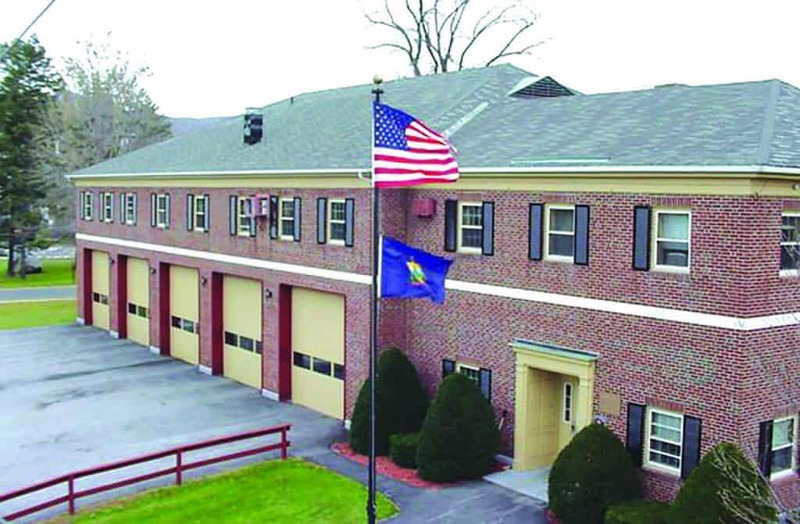 New leadership may soon enter the Rutland City Fire station on Center Street.